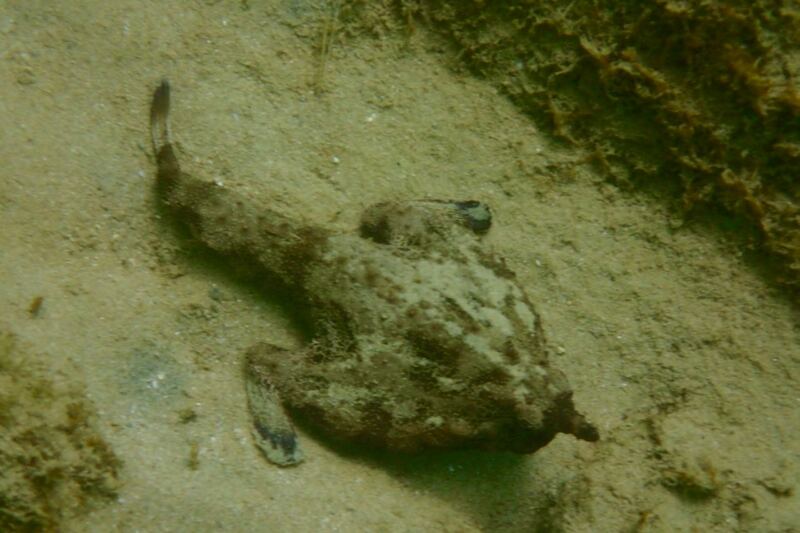 On a recent trip to Charlotteville, Tobago we spotted a shortness Batfish. It’s always tricky to spot these as they blend in so well with the sand. With it’s odd pectoral fins, which are used to hold them in place, and the bulbous knob on it’s head that secretes a chemical lure to attract it’s prey, the Batfish is very unique to say the least. The Batfish is known to dive to depths of 1000 feet. If you are interested to take a guided tour of Tobago’s ocean creatures then book a snorkelling tour with us at Zoe Snorkelling Tours. Check out www.snorkeltobago.com or email us at info@snorkeltobago.com, or call at 868-681-4741.